I’ve had insomnia since my teens. Never could get to sleep before 2:30. And that’s when I’m lucky. Sometimes it’s 3:30 or 4. I do everything I’m supposed to do. I work out at the gym every day. I have a few beers when I get home but that’s it. I use a blue light blocking app on my computer and anyway I’m usually off it by 11. But nothing I do changes the situation. I just don’t feel sleepy. No matter how sleep deprived I am, I feel wired. When the alarm goes off at 7:20 I feel exhausted. Coffee doesn’t help. I fight to stay awake at the office and by the end of the week it’s a losing battle. Early morning meetings are the worst. What saves me is being able to sleep in on weekends. That and sleeping pills. Ambien will sometimes put me to sleep by 1. So my question is: Do you think Belsomra could work for me? Rob might not have a sleep problem if his work began at noon. But most jobs start earlier, and for people with DSPD, trying to function on a conventional schedule is a major ordeal. It can quickly lead to sleep deprivation and trouble meeting obligations. It limits prospects down the line. We humans can’t choose our sleep time preferences. Whether you’re a night owl, an early bird, or somewhere in between depends on a mix of genetic factors. These preferences can be modified, though, and may also evolve with age-related changes. Sleep experts have long suspected that people with DSPD have body clocks that run slow, taking longer to complete their daily cycle. While the average circadian period in humans is 24 hours 11 minutes, scientists have hypothesized that the period length in people with DSPD is closer to 25 hours. Using a similar, 30-hour study protocol, the same team found that melatonin secretion began almost 3 hours later in DSPD patients than in normal sleepers. While in normal sleepers the melatonin secretion began with a surge, in DSPD patients, it started out gradually. No wonder people like Rob have trouble getting to sleep! The most effective treatment for night owls wanting to get to sleep sooner is not sleeping pills but rather bright light therapy. The light source can be the sun or a light box that disseminates light at 10,000 lux. Light exposure should occur first thing in the morning. The largest phase advances occur in sessions lasting for 2 hours. Phase advances are also larger when morning bright light sessions are combined with a melatonin supplement taken late in the afternoon or around dinnertime. Combined with 0.5 mg of melatonin taken late in the afternoon, continuous exposure to bright light for 30 minutes early in the morning was found, in another recent study, to produce 75% of the phase shift that occurred with the 2-hour exposure. But the bright light–melatonin regimen is not a cure for DSPD. Stop it and your circadian rhythms will revert to their natural cadence. This will also happen if you allow yourself to sleep in late on weekends. You’ll function best if you maintain the same sleep-wake schedule all 7 days of the week. As for sleeping pills like Ambien and Belsomra, why assume the risks these pills confer when bright light therapy and melatonin supplements, which have few if any side effects, can work even better? 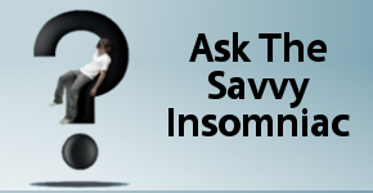 If you’re a night owl, have you tried bright light therapy and/or melatonin supplements? How have they worked? Very interesting and good advice. What I wrestle with is what happens in retirement. I meet many retirees who are up at the crack of dawn, out on the tennis courts and early to bed. Then I meet others who leiserly get up at nine and enjoy a slow morning and a late night. Why fight your natural inclinations if you don’t have to? Being a night owl is not harmful if a person gets to choose when to go to bed and when to get up. 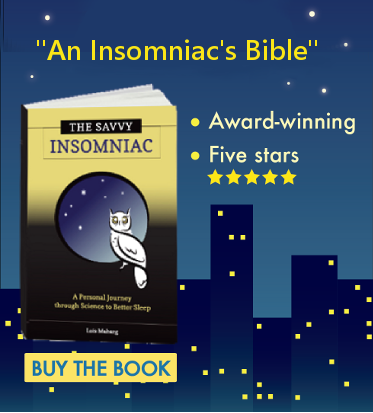 When I was interviewing people for my book, I came across a night owl college professor who liked to work late at night and normally slept in until 10 a.m. He arranged things so he never had to teach morning classes. It was the perfect setup for him. It’s only night owls with jobs that start in the morning that need to be concerned about phase shifting their sleep to an earlier hour. In retirement people don’t have the same work obligations they had during their working years. So they’re freer to adopt the sleep schedule that suits them best. But I notice retirees getting into trouble when—with fewer obligations—their sleep becomes erratic. Sometimes they decide to get up early and other times they feel like sleeping in, and they do. Or sometimes they take a nap. Then they start noticing they’re having trouble falling asleep at night. Or they’re waking up way too early. This sort of irregular sleep pattern can eventually lead to persistent insomnia. I see no reason not to choose bed and rise times that mesh with your body’s natural inclinations. But it’s best to keep bed and rise times regular whether you’re a morning person or you come alive at night. I agreed with you. Recently, one of my mentor (retired trainer) shared with me his sleep problem, which is about middle of the night awakening. He always break the rule – that is to go to bed as he feels like. He is pretty lost now… about his bedtime and rise time. He is struggling to get back to normal, seeing some improvement. Many people may focus on the effects of “going to bed late”, but forget about the importance of sticking to the sleep schedule. Thanks for this post, enjoy the reading. Yes. Sticking to a regular sleep schedule is one of the best ways to improve sleep. Of course that isn’t always possible. But as long as the wake-up time remains fairly steady, circadian and homeostatic systems will work together to promote sound sleep. Does anyone have a recommendation for how to get to sleep when you awake in the middle of the night? Trouble getting back to sleep after middle-of-the-night awakenings is probably the most common problem among people with insomnia. There are several ways to handle it.